Engine braking is what occurs when a driver removes their foot from the accelerator to allow the vehicle to slow down due to the compression and friction from moving parts of the engine slowing the vehicle. Engine braking is further increased by downshifting gears in a manual car. Engine braking has benefits in certain circumstances such as driving downhill and a combination of engine braking and foot brake is essential for safe driving and economically, can reduce costs. We all use engine braking on some level, whether we realise it or not. Explained are the advantages, disadvantages of engine braking and how to engine brake – hopefully giving a thorough understanding of the question ‘what is engine braking’. Is engine braking good or bad? If done correctly and used appropriately, engine braking is good and can benefit in terms of increased safety whilst driving. Here are some examples of when to use engine braking and how to engine brake. Whilst driving downhill a vehicles momentum will increase due to gravity. Heavier use of the vehicles brakes than usual is needed in order to slow the vehicles progress. Under heavy braking, brake fade can occur. Brake fade is a result of overheating and reduces friction between the brake pads and discs. The reduction in the effectiveness of brakes is dangerous and is often more common in larger vehicles. Learning how to engine brake downhill significantly reduces brake fade and will increase the lifespan of your brake pads and discs. Traveling downhill in 2nd or 3rd gear will use engine brake to keep your cars speed reduced. The steeper the hill, the lower the gear. Automatic cars are no exception. Select ‘2’ or ‘1’ for steeper hills on the lever. This will have the same effect as 2nd gear on a manual vehicle. Unlike driving down a steep hill where you need to reduce foot brake usage due to wear and overheating, driving on snow and ice requires little foot brake usage to reduce the possibility of skidding. Driving on snow or ice is of course hazardous and using the brakes even slightly too harshly can lead to a loss of traction between the road surface and tyres. Engine braking helps to slow the car down much slower and safely than using the foot brake. 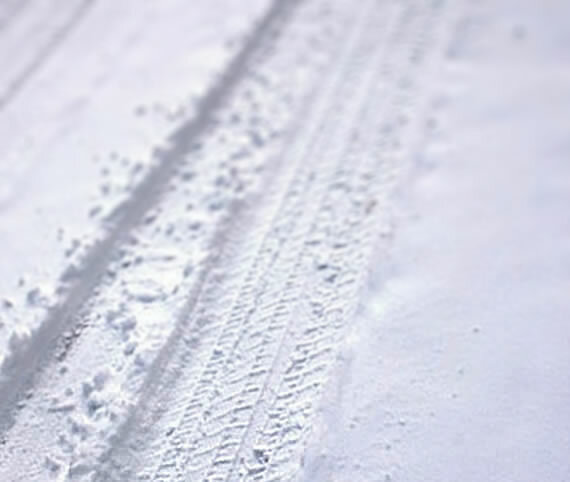 Engine braking on snow and ice requires observation of potential hazards such as bends in the road and stopping up ahead – such as a junction much sooner than usual. Years ago it was considered ideal when slowing down or coming to a stop in a car, to use engine braking as the primary source of slowing or stopping. During a driving test for example, the driving examiner wouldn’t be too impressed by a driver constantly using the gears as a means to slow down as the brake is the preferred method in modern driving. The issue with engine braking and using the gears to slow the vehicle is that one of the drivers hands spends a good deal of time on the gear stick, where it would be better placed on the steering wheel. A certain amount of a drivers attention will be devoted to these downward gear shifts that would otherwise be better placed on the road ahead. This is an examiners way of thinking. Another issue is the extra wear on the clutch plates when using the gears to slow down instead of the brakes. Brake pads are cheaper to replace than a new clutch. We do of course need to change down gear frequently as the speed of the car changes, but limit this for situations such as coming to a stop. An ideal solution is to use a combination of engine brake and foot brake. Reading the road well ahead and anticipating a stop at a red light for example allows a driver to ease off the accelerator and allow the engine to slow the vehicle along with light braking. Most modern cars do not require changing down gears and can quite happily come to a stop in 5th gear, block changing directly from 5th to 1st a few metres from stopping. This will allow for both hands on the steering wheel, the drivers attention on the road and less wear on the clutch. Engine braking does not cause any damage to the car. Excessive engine braking and changing down gears to slow the car will increase clutch wear. If done correctly with a combination of the foot brake, it would mean the driver is paying attention to the road well ahead and is therefore safer driving. Proper engine brake / foot brake combination reduces wear on car components and increases fuel economy. Often when gently slowing the car down well before you reach a certain stop such as a red light, the situation has changed before you get there, meaning it’s not necessary to stop. Moving a vehicle off from a stationary position is a great deal of work for an engine and uses considerable fuel. Engine braking is not bad for your car, although excessive use when changing down to slow the car will increase wear on the clutch plates. thanks for such great detail in your post. Engine braking does not illuminate the brake lights, so you miss the benefit of warning following drivers. Sure they should be far enough back but…..